With a looming physician shortage and a higher number of patients requiring complex, regular care, providers are seeking ways to deliver care management services to more patients more efficiently. Providers today spend much of their time in the EHR – and need digital tools that do not add additional burdens or time spent in front of the computer (instead of with patients). In these instances, remote monitoring programs that leverage patient data generated outside the hospital setting can improve efficiencies and allow physicians to spend their time with the patients who need it most. Through remote monitoring programs, providers are able to focus their attention on the patients who need intervention the most. Consider the nurse who calls her patients alphabetically throughout the day to check in, likely spending unnecessary time contacting patients who are self-managing their health successfully. He or she may not even reach those patients at the end of the alphabet who are in need of intervention or a treatment update. With the ability to monitor a patient’s data remotely, a clinician can identify patients who may be trending negatively and reach out at the right time to avoid an unnecessary negative health event. Likewise, rather than having these conversations in person, providers can reserve the time for face-to-face visits for patients who need it the most and reduce manual data entry requirements. Diabetes is a chronic condition that contributes to high rates of morbidity, mortality, and costs for the Veterans Health Administration (VHA). Researchers evaluated a VHA care coordination/home-telehealth (CC/HT) program for its effectiveness in reducing healthcare services that contribute to these costs. Enrollees were veterans with diabetes who had two or more hospitalizations or emergency room visits. A care coordinator used a telemonitor with two-way audio-video connectivity, a handheld in-home messaging device with disease management dialogues, and a videophone with two-way audio-video connectivity to monitor the symptoms of patients’ diabetes. Multivariate analyses indicated statistically significant reductions after patients were enrolled in the study for one year. The proportion of patients who were hospitalized reduced by 50%, those going to the emergency room reduced by 11%, and the average number of bed days were reduced by an average of three days. More than 95% of enrollees reported that the technology was easy to use and made them feel secure. Burnout continues to be a prevalent issue for physicians. Today, providers are spending more than half their time working in the EHR. Yet, Ernst and Young’s 2018 survey on digital health revealed that almost 65% of physicians believe that “technology that captures consumer-generated data will reduce the burden on doctors and nurses specifically.” In order to allow providers the time to spend with the patients who need it most, technology must use the data available, including PGHD, to make insights clearer and care more efficient. It also affords providers and care teams more opportunities to ‘work at the top of their license’ and spend more time with high-risk patients. Remote monitoring technologies enhanced with artificial intelligence (AI) tools, such as those from advances in analytics and machine learning, can also automate non-essential tasks within providers’ workflows by offloading manual tasks, such as data entry, with automated processes. With a looming workforce shortage in healthcare, it’s essential that providers apply the technology available and leverage the data available to give clinicians the opportunity to dedicate their time to high-risk patients, rather than spending unnecessary time with patients who are self-managing or don’t require intervention. 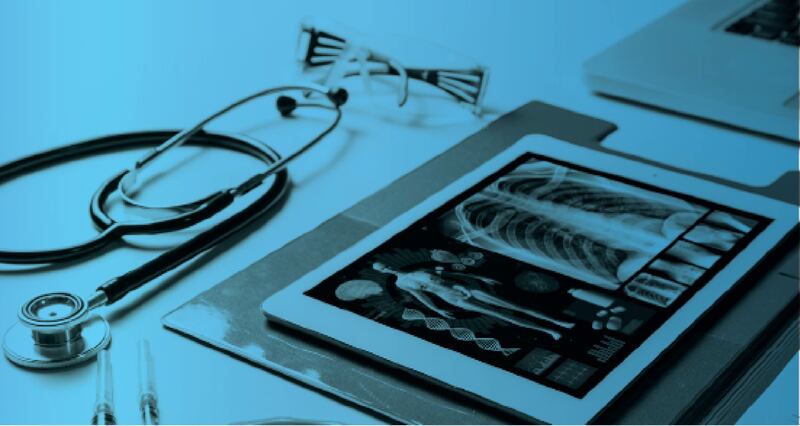 Via remote monitoring, providers are able to more efficiently gain deep insights into a patient’s health without a time-consuming, in-person appointment or manual transcribing from a telephonic encounter. As efforts to continue in the shift to value-based care, initiatives within the industry will continue to encourage the use of RPM and PGHD to improve operational efficiencies and deliver clinical and financial returns on investment. To learn more, read the latest report from Validic and the eHealth Initiative.